As a part of securing Evolution Gaming’s opportunities for efficient future expansion of studio floor space, the Board of Directors has decided to acquire the company that owns the building which accommodates the majority of the operational activities in Riga. The purchase price amounts to EUR 12.4 million and will provide both strategic and financial benefits, and is not expected to affect the company’s objective to distribute at least 50 percent of the net profit for the year. Evolution has been a tenant in the building, located just outside central Riga, since 2011 and currently rents more than half of the total office space. The need to further expand the studio floor over the coming years is being assessed as large to manage the high demand for the company’s product. As the landlord has not been able to provide guarantees for further expansion, Evolution has conducted a review of different alternatives with the acquisition of the building considered to be the best option both strategically and financially. The purchase is conducted through an acquisition of the company that owns the property and is expected to be completed in January 2016. The payment is made with cash (EUR 3.1 million) and loans (EUR 9.3 million). The purchase price is less than the external valuation of the building. Interest costs and amortisation will be lower than the expected rental costs over the coming years. The company’s objective to distribute at least 50 percent of net profit for the year is not expected to be affected by the acquisition. 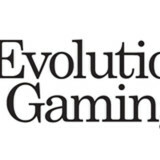 Evolution Gaming provide the live casino software to a number of casinos that have been reviewed on Live Casino Comparer and are the current industry leader in providing live casino solutions. They are the only live casino company to provide live 3 card poker.